The Chinese government plans to spend half a trillion dollars over the next three years on developing the country’s high-speed rail network. The move is part of a five-year plan aimed at shoring up China’s economic growth. Beijing is developing a new generation of trains capable of reaching 400 kilometers per hour (250 mph), China Daily reported. The high-speed trains will be part of the so-called Belt and Road Initiative to boost economic ties with other countries. 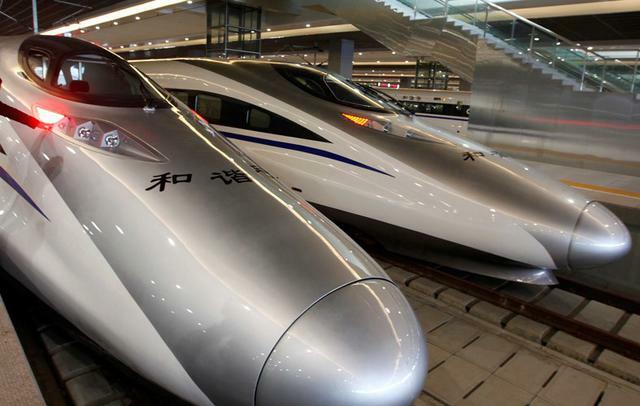 "We will apply new materials in the research and production of the future high-speed trains, such as carbon fiber and aluminum alloy, which will help to reduce weight and enhance energy efficiency,” said Qiao Feng, a senior engineer at the CRRC Changchun Railway Vehicles, a subsidiary of China Railway Rolling Stock Corporation. "Because many markets along the Belt and Road Initiative, especially in Central Asia, Southeast Asia, the Middle East and Eastern Europe, are planning to build high-speed rail lines or to upgrade their existing systems, they are eager to gain technological support from China to assist in daily operations, maintenance and staff training," he said. China has the world’s largest high-speed rail network with more than 20,000 kilometers (12, 428 miles) and expects to more than double that to 45,000 km (28,000 miles) by 2030. According to the Chinese National Railway Administration, the country has passenger train services running at operational speeds of 200 – 250 km/h and has the technology to produce trains with a top speed of 350 km/h (219 m/h). It is actively developing high-speed train technology and last year set a new speed record with a train reaching 840 km/h (521 m/h) on a test run. Two trains, known as Golden Phoenix and Dolphin Blue zipped past each other with only 1.6 meters of space between them. It is also developing a new generation of trains for Russia's Moscow-Kazan high-speed railway. China plans to provide a $6 billion loan for the route which in future may become a part of a $100 billion high-speed rail line connecting the two countries.